Written prior to adoption of the Euro, this volume explores the likely impact of monetary union. 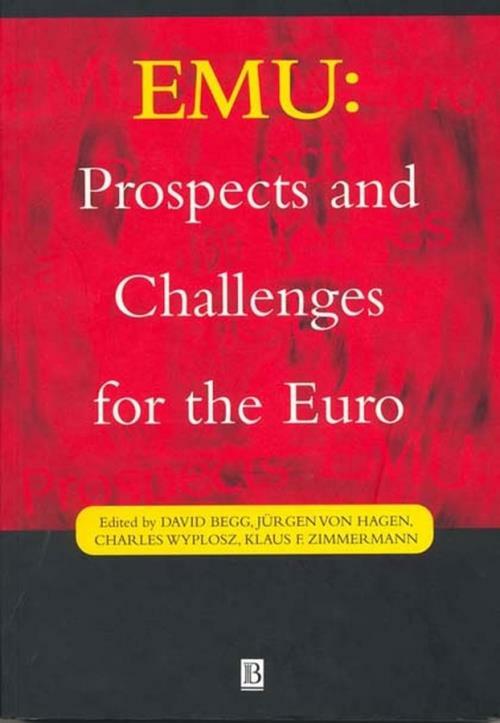 Some of the best European and American economists use available theories and data, including historical evidence, to look at the operation of monetary and fiscal policy, at the effects of shocks and at the international role of the euro. This book serves as the reference for understanding the early challenges of EMU. - Includes the views of top economists from Europe and around the world. - Presents vital information in a non-technical language. - Contains penetrating discussions by a distinguished panel of experts. Part I: Immediate challenges for the European Central Bank: Rudi Dornbusch, Carlo Favero and Francesco Giavazzi:. Discussants: Hans Genberg and Andrew K. Rose. Part II: The Stability Pact: More than a Minor Nuisance? : Barry Eichengreen and Charles Wyplosz:. Discussants: Charles Bean and Stefan Gerlach. Part III: Stability without a Pact? Lessons from the European Gold standard, 1880-1914: Marc Flandreau, Jacques Le Cacheux and Frédéric Zumer:. Discussants: Rudi Dornbusch and Patrick Honohan. Part IV: Does EMU Need a Fiscal Federation? : Antonio Fatés:. Discussants: Torben M. Andersen and Phillipe Martin. Part V: Regional Non-adjustment and Fiscal Policy: Maurice Obstfeld and Giovanni Peri. Discussants: Olivier Jean Blanchard and Antonio Fat&acutes. Part VI: Blessing or curse? Foreign and underground demand for euro notes: Kenneth Rogoff:. Discussants: Francesco Giavazzi and Freidrich Schneider. Part VII: The Emergence of the Euro as an International Currency: Richard Portes and Hélène Rey:. Discussants: Paul De Grauwe and Seppo Honkapohja.